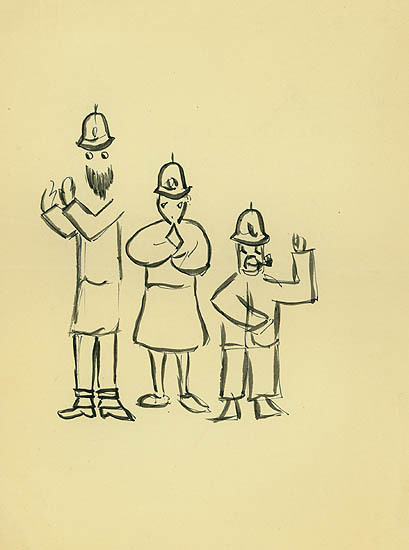 <!-Eric Gill. 1882-1940--> Eric Gill. [Infringement of Rule No. 4]. [Infringement of Rule No. 4]. Pen and ink drawing. 4 1/2 x 4 1/8 (sheet 9 x 6 7/8). Horizontal folds. 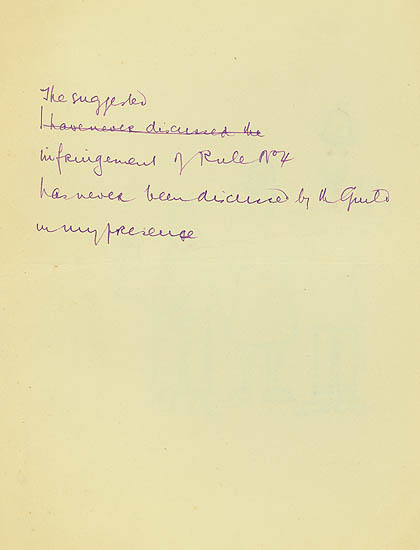 Annotated verso, 'The suggested infringment of Rule No 4 has never been discussed by the Guild in my presence.' Unsigned. $1,250.